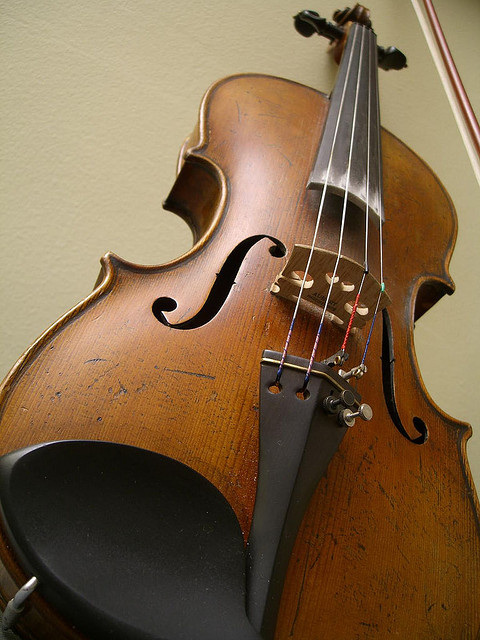 Fiddle; photo by William on Flickr (noncommercial use permitted with attribution / share alike). Arkansas designated the fiddle as the official state musical instrument in 1985. The fiddle (violin) was an important part of life to the early pioneers at community gatherings and square dances (square dancing is the official folk dance of Arkansas).